Agri-Tech West has been formed by 4 Local Enterprise Partnerships – Cheshire & Warrington, The Marches, Stoke & Staffordshire and Worcestershire. By joining together to create a partnership approach, the offer is strengthened and creates a more rounded portfolio of opportunity to those seeking support and expertise within the Agri-tech and Agri-food sector. On 16th January 2018 Agri-Tech West had its first official seminar, which was hosted by Reaseheath College, one of Agri-Tech West’s partners who provide educational, research and test facilities. In attendance were the other partners with educational, research and test facilities, including; Harper Adams University; University of Chester; Keele University; South Staffordshire College and Pershore College. Government representatives from BEIS, DEFRA and DIT were in attendance, as well as some key Industry representatives. The aim of the seminar was to showcase the vision and objectives of Agri-Tech West and to gain insight and feedback from delegates. The seminar was a great success and generated excitement. 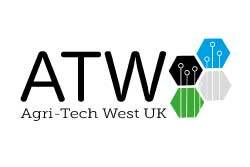 Agri-Tech West has now officially started its journey, promoting and raising awareness of the great opportunities that exist for businesses in the Agri-tech and Agri-food sector. Agri-Tech West plays an important role in showcasing what the region has to offer from both an inward and outward perspective, embracing the opportunity to gain recognition and exposure locally, nationally and as its gain momentum globally. Valuable feedback from delegates was received, with many areas of mutual interest being discussed around collaborative working, engagement, skills development and application of innovation, alignment with government priorities, providing a voice for the region and access to / demos of new technologies. It is important for partners to understand what type of support businesses will be looking for within the Agri-Tech West region. Over the next couple of months, Agri-Tech West will launch its website and continue to build momentum through its marketing and promotional activity, and through building key relationships and gaining feedback from our potential consumers. A feedback form is located on Agri-Tech West’s website holding page www.agritechwest.com. By completing the form, visitors can register for updates but also provide insight into the topics which will be of interest to them. 2018 will be a really exciting and productive year for Agri-Tech West – from the formation of its Strategic Board, through to the launch of its website and several business events. If you would like to get in touch or find out more, you can do so through the website or by emailing info@agritechwest.com.